You vowed you d never repeat the same mistakes yet you find yourself right where you started. What is it that keeps drawing you back into the same old traps? The fact is, your longings are built from the blueprint of your needs: for protection, for love, for God. And those needs aren t going anywhere. Sheila speaks candidly about the trials in her life, including the heartache of her first marriage, and intertwines her story with the biblical saga of King David. As both Sheila s and David s stories make clear, some cravings are misguided, but they all stem from the same hunger and they will haunt you until that hunger gets satisfied properly. Well this book didn't really hit home with me as it did others. 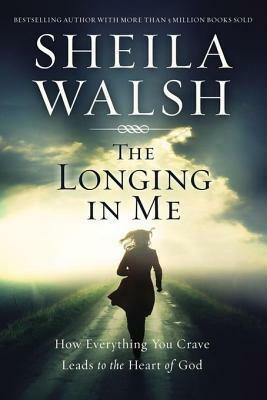 I like Sheila Walsh but this book was about a lot of personal pain that I honestly couldn't completely relate with. The book talks about Sheila's past and her pain and her life decisions and weaves David's story in with it for Biblical background. I found her personal life story interesting but I had read similar things in her previous book as well. This book didn't do a lot for me but in reading other reviews many people enjoyed it and it hit home with them. So if you have some stuff in your past or feelings of guilt or confusion this is the book for you.